PMD - Physical Medium Dependent - This is where the data is actually modulated. You can remember that because if you look at the name, its Dependent on the Physical Medium. At least if you read it backwards. The 802.11 standard states that every PHY provide different PMDs. The majority of these different PMDs are the modulation schemes. 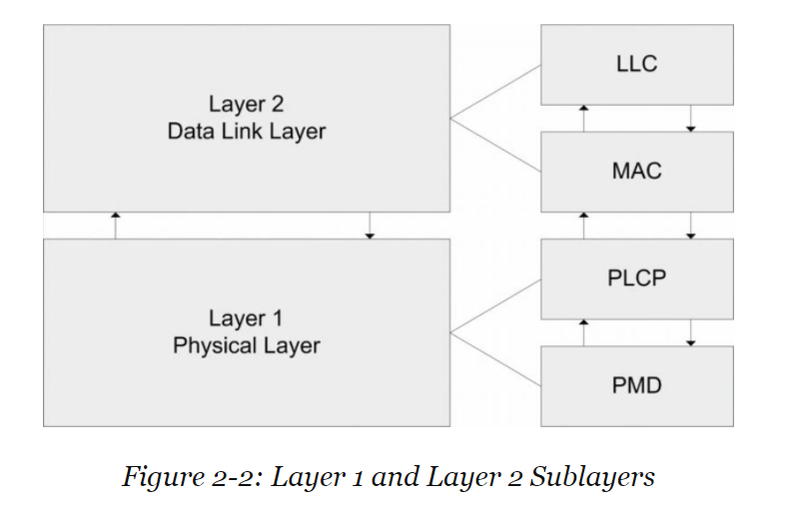 The MAC layer remains the same for most of the current PHY's deployed today. Although some will have special features. Such as protection mechanisms or optional features like QoS. 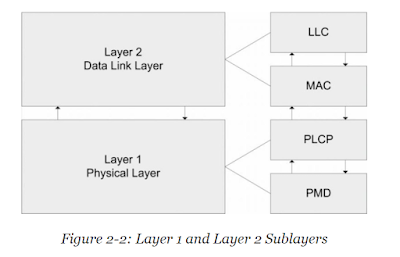 PLCP - Acts as a mediator and/or translator between the MAC layer(s) and the PMD.